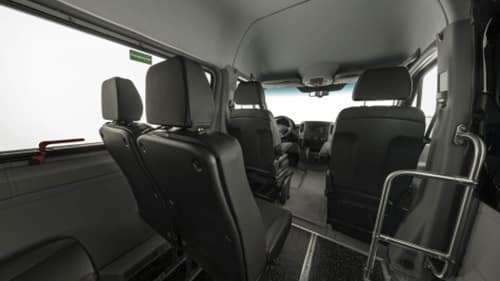 The Mercedes-Benz Sprinter Cargo Van provides space and utility for Stony Brook drivers. As reliable as it is, sometimes a job requires more. 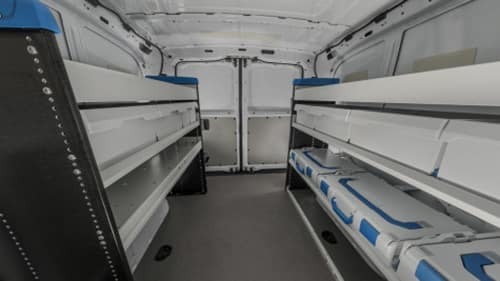 From movers to plumbers and everyone in between, customize your Sprinter Cargo Van to be ready for the job with upfitting options at Mercedes-Benz of Smithtown. 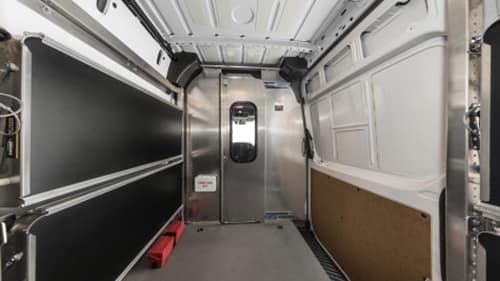 Additionally, you can customize your Sprinter van to meet your exact specifications with Cool Fox. 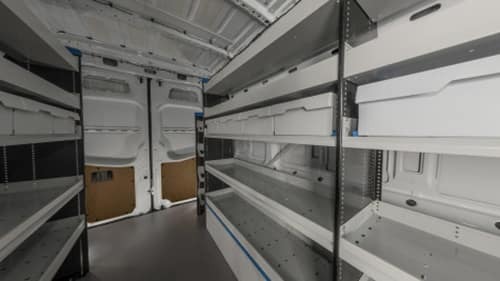 include split cargo compartments for dry and cold storage areas or come up with your very own customization idea! The People Movers packages are great options for industries ranging from hotels and resorts to schools. From lightweight to heavy duty, choose the package that works best for your budget and needs on the job. 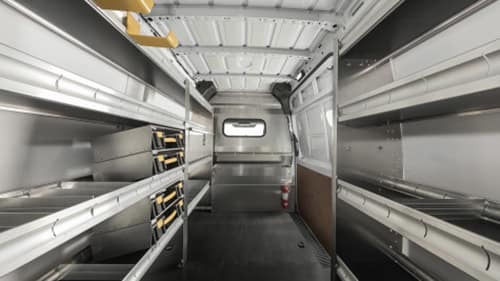 Take your Sprinter van to the next level with Advantage Outfitters, who offer everything from Commercial van shelving & equipment to mobile installation service! Each package offers a variety of options, including extra tool drawers, shelving, and other customizable features. Looking for better protection for your equipment? Take advantage of Adrian Steel. Built of strong, 16-gauge steel, Adrian Steel partitions provide security from shifting loads. Hoping to take your brand with you wherever you go? 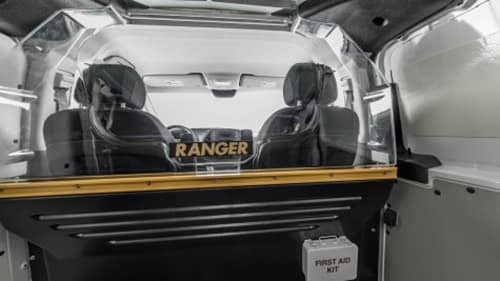 Use Display Makers to customize your van with full-service graphics. Transform your Sprinter van from a pure utility vehicle to a mobile billboard and personal reminder of your company with help from Display Makers. 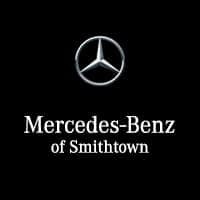 Customize your new Mercedes-Benz Sprinter Cargo Van at Mercedes-Benz of Smithtown to be ready for the job whatever it may be. Make the trip from Stony Brook to our St. James dealership, located at 630 Middle Country Road. We can help finance your next vehicle, so be sure to contact us with any questions! ‡‡ The payment estimator is not an advertisement or offer for specific terms of credit. Payment amounts presented are estimates for illustrative purposes only. Actual terms may vary from those used to calculate estimated payment amounts. Estimated payment amounts are based on information you provide, the Manufacturer’s Suggested Retail Price (MSRP) for the vehicle selected, and on financing programs currently offered by Mercedes-Benz Financial Services. Your actual payment amount may differ from the estimated payment amount due to various factors such as the actual vehicle price charged by the dealer (actual vehicle prices may vary by dealer), special promotions and rebates affecting the price of the vehicle, financing programs offered by Mercedes-Benz Financial Services at the time you finance or lease your vehicle, and the actual rate used to calculate your lease or finance charge. The rate that determines your actual payment is based on creditworthiness. Not all customers will qualify for the lowest rate.